We, being regarded as credible Instrumentation Elbow Manufacturer and Exporter in Naroda (Ahmadabad), make sure that the product is tested at various stages of production as well as before final dispatch to the customers. 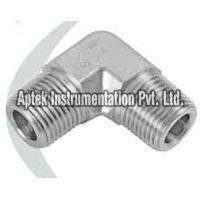 We offer a wide range of Instrumentation Elbow that includes Instrumentation Female Elbow and Instrumentation Male Elbow. 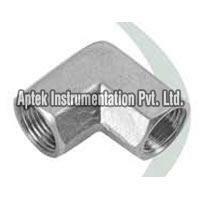 Both our Instrumentation Elbow is corrosion resistant and is perfectly designed as per industrial needs.